Peer to peer (P2P) lending is the practice of lending money to unrelated individuals also known as peers without going through a financial intermediary such as a bank or other traditional institution. Lending Club, Prosper and Kiva are known to be the world’s largest online peer to peer lenders. These popular online lenders are popular mainly because they have transformed the banking system to make it more efficient, transparent, and customer friendly. Other benefits that borrowers find alluring include: Easy access to online application, low fixed rates, fixed monthly payments, no hidden fees or prepayment penalties, and their terms are usually flexible. In the year 2014 ending in June, Lending Club and Prosper saw 195% growth generating more than $1.5 billion in loans. 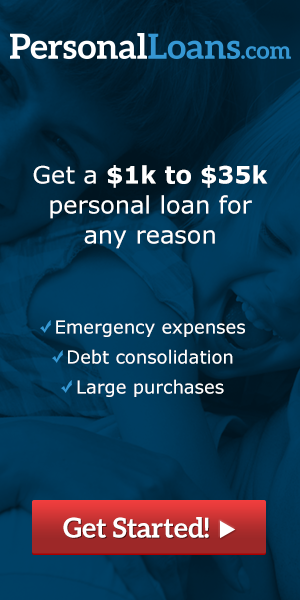 • Personal loans that are usually for car maintenance, debt consolidation, or weddings. • Business purposes for entrepreneurs in need of expanding existing operations, or simply start-ups. • Projects for those in music and film industries or projects that cannot be planned in a conventional way. • Refinance credit card debt. Peer to Peer services do provide a way for ordinary people to loan money to other regular individuals they have never met. In most cases, an intermediary is involved. The peer to peer sites facilitate the loans, which are funded in funded in increments of $25. Since the amounts are small, nearly anyone can afford to be a lender. Borrowers can take advantage of thousands of lenders on board and raise funds they would have not be able to qualify for. Peer to peer usually allows borrowers the option of choosing between three year and five year repayment plan. Loaned amounts may vary, for example, Prosper has a limit of $25,000 while Lending Club’s limit is $35,000. Initially, the borrower does go through filling out the application and submitting it for approval. Peer to Peer lending is normally an all-or-nothing proposition for borrowers. If they do not reach their target funding, they receive no funds. This means that borrowers have to attract lenders. This can be done mainly by the applicant’s qualifications being met, prove that the resources are available for repayment. A successful operation from both ends will result in happy borrowers and happy lenders especially via the profits gained. In conclusion, the entire process works as such: Customer fills out an application online, lender evaluates the information, determines the interest rate and presents a variety of offers to qualified borrowers. Investors have the option to select loans in which to invest and earn monthly returns. This entry was posted in Uncategorized on July 22, 2014 by Kyle Burton. While you might or may not be quite familiar with them, the signature loans are common than you could imagine. If you go to a store that provides in-house financing, you will most probably find this product from their list of lending packages. Similarly, if you have received an offer through an email offering you the opportunity to consolidate your outstanding debts through a fixed interest loan facility within a fixed number of monthly repayments, then most probably, it is a signature loan. One thing with signature loans is that they are unsecured and you do not have to place collateral to be approved of the credit facility. But since they are unsecured, they are likely to be difficult to obtain. Lenders demand that the applicants provide prove of their ability to repay or their creditworthiness. It is essential that you first understand what it takes to borrow the loans before you even sign that promissory note that obligates you to settle the credit facility as agreed upon in the contract. For one, taking an unsecured signature loan may not be the same thing as use of the credit card. Nonetheless, the amount that is borrowed through this credit facility usually goes towards financing one specific project or financial need and then paid off in equal monthly installments. One good thing about the loans is that you can be granted larger amount of money that you can use to do major projects such a home improvement or payment of tuition fees. If you are in need of cash and for that matter, a large amount of loan, you could opt for these loans. However, you need to understand that because they are unsecured, you will have to meet higher cost of interest rates though not the same as those of credit card debts. These loans are also offered by appliance stores, and furniture stores as one way of encouraging their customers to purchase their products and goods and then pay the amount over time. Besides, it is common for credit unions and banks to offer the same credit facilities. When it comes to unsecured signature loans, there are pros or benefits you can get them from. First, they are can be used as a reasonable way of consolidating those high variable interest rates associated with credit cards by obtaining one fixed monthly repayment loan that has more attractive interest rates. Secondly, the loans sometimes allow the borrowers to be able to participate in special promotional deals that are offered by retail stores. When compared to short-term loans like payday, the interest rates of the signature loans are much better. While the loans can benefit consumers in a number of ways, it also pays to take heed of the cons of these credit facilities. Although the interest rates might be competitive compared to those of similar loans and credit card debts, the fact is that they are still more expensive than the secured loans like auto loans and home equity loans. Due to your credit history, you may not benefit from the best available interest rates. The loans may make it easy for you to get too deep and too fast with the credit facility. This entry was posted in Uncategorized on July 2, 2014 by Kyle Burton.